90% of these are for comical purposes. I spend a lot of time on Twitter, which is very unhealthy, I know, but I use Twitter as a way to engage with the news and as a source of daily entertainment because why not? Twitter is the home to some of the most controversial conversations and has impacted the growth of social media and journalism in so many ways, both good and bad; but there are some people who use Twitter as a way to connect to their favorite celebrities, meet new Internet friends, and get new memes before they become mainstream. I have my fair share of retweeting or liking Tweets that may need an explanation, but for the most part, it's all in the humor. 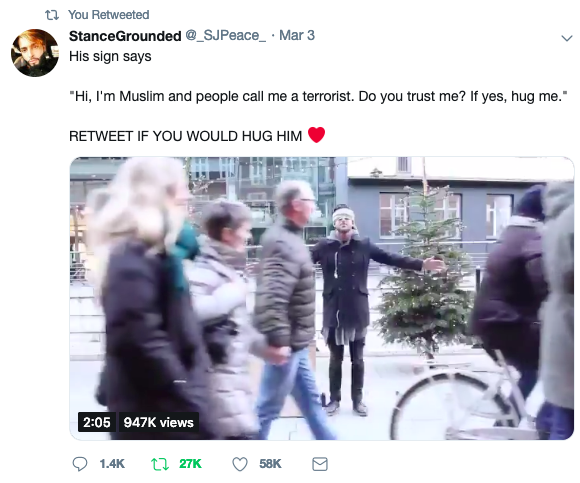 This is my favorite tweet because the simple fact that a thousand-plus people walked past him, but a few people stopped to give him a hug (even a mom let her baby hug him). The blindfold is also amazing because he doesn't want to see what race/ethnicity is hugging him. I already talk about this (numerous times), but this was very fitting. College just has me like...it's rough out here in these streets, man. This tweet needs no explanation. We can argue if you don't believe summer '16 was lit though. 5. Don't ever disrespect "Baby Shark"
I have "Baby Shark" saved to my Spotify and I will not stand for this type of injustice. The actual article wasn't what made this story so funny. It was this tweet because it was sad, but so true. I don't tweet my own tweets because I just enjoy seeing everyone else's, but when I first got Twitter (I was 10), all I could talk about was One Direction, 5SOS, and live tweet my feelings from episodes of "Teen Wolf" and any MTV awards show ever (I became semi-famous during awards season). Now, I enjoy retweeting and liking the words of other comedic geniuses. 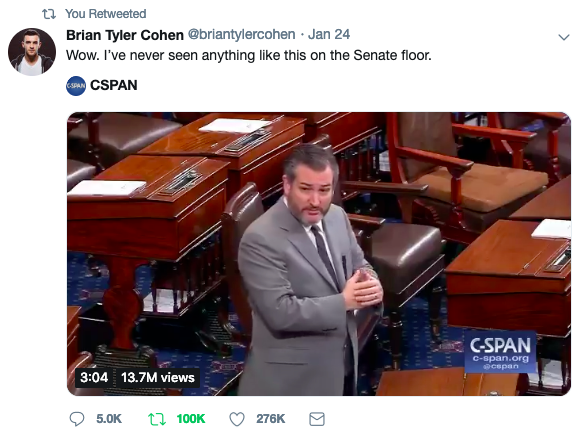 I try to keep politics off of my page, but this was so reeling and put things in perspective for me that I had to retweet this to save it and never lose it. I didn't grow up watching "Sesame Street," but I've always loved Cookie Monster and this tweet became my mood for 2019. 10. Whose house are we pulling up to? I can say that I am very much down for this to happen. Let me know a time and a place.